Send 1 Monster Card from your hand to the Graveyard to destroy 1 face-up monster on your opponent's side of the field with an ATK equal to or less than the ATK of the sent monster. During the End Phas..
Each monster you control equipped with a "Dragunity" monster(s) gain 500 ATK. Once per turn, you can select 1 face-up monster you control, and equip it with 1 Dragon-Type "Dragunity" monster from your..
Once per turn, during your Main Phase, you can discard 1 card to activate 1 of these effects. Add 1 Level 4 or lower "Dragunity" monster from your Deck to your hand. Send 1 Dragon-Type monster from yo..
During battle between an attacking Dragon-Type monster you control and a Defense Position monster whose DEF is lower than the ATK of the attacking monster, inflict the difference as Battle Damage to y.. 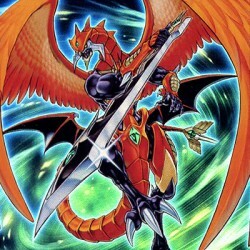 When this card is Normal Summoned, you can Special Summon 1 "Dragunity" monster from your hand, then equip it with this card. When this card is sent to the Graveyard while equipped to a monster, selec..
You can Special Summon this card from your hand or your Graveyard by removing from play 1 face-up monster you control equipped with a "Dragunity" card(s). When this card is Normal or Special Summoned,..
You can Special Summon this card from your hand by sending 1 face-up "Dragunity" monster you control to the Graveyard. When this card is Normal or Special Summoned from the hand, you can select 1 Drag.. This card gains 200 ATK for each face-up "Dragunity" card you control. When this card is Normal Summoned, you can select 1 Level 3 or lower Dragon-Type "Dragunity" monster in your Graveyard and equip .. When this card is Normal Summoned, you can select 1 Level 3 or lower "Dragunity" Dragon-Type monster in your Graveyard, and equip it to this card as an Equip Card. You can send 1 "Dragunity" card from.. This card cannot be Normal Summoned or Set. This card can only be Special Summoned by removing 1 WIND monster in your Graveyard. During your opponent's End Phase, you can select 1 face-up monster your..